Seq of the Day mit Dorian Gray! Element vor Sweet und Flip, oder: Vans Downtown Showdown! Limited Skateboard Magazine Zypern Tour Video! 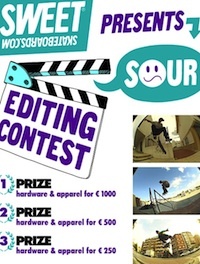 Sweet Skateboards – Editing Contest!